Our History | JDRM Engineering, Inc.
JDRM Engineering, Inc. was formed in 1995 with the merger of principals, staff, and business interests of separate mechanical and electrical consulting engineering firms. In founding JDRM, the partners made provisions for the business to evolve from their ownership to that of the leadership they would develop and nurture within the firm. A minimum of four senior partners take on majority ownership roles. Leadership is further supported by a group of minority partners and associates. In 2017 the fourth of the founding principals stepped down from his leadership and ownership role. The evolutionary process envisioned in 1995 enabled a seamless transition to the current management team and the firm remains a closely-held private entity, owned and operated by partners active within the organization. This team is working with the firm’s Associates to continue developing leadership from within the organization. In founding JDRM Engineering, Inc., the partners made provisions for the business to evolve from their ownership to that of the leadership they would develop and nurture within the firm. A minimum of four senior partners are to be in a majority ownership role. Leadership is further supported by a group of minority or “junior” partners and associates. Leadership development is further defined with the Partners supported by a select group of Associates including Walt Diener, Margie Kayser, Gerry Katafiasz, George Meredith, Keith Sturton and Rolin York. Management Team Partners added: Darren Keil, Art Myerholtz, and Jeff Stringham. Jeff Feasby and Tom Gerken named Associates. The evolution process was first tested by the unfortunate death of Gary Driftmyer. On Mother’s Day 2003 Gary was involved in an automobile accident which claimed his life. True to the firms’ founding vision of continuity, Darren Keil was named to partnership in 2004 and Bob Kalb joined the Management Team. 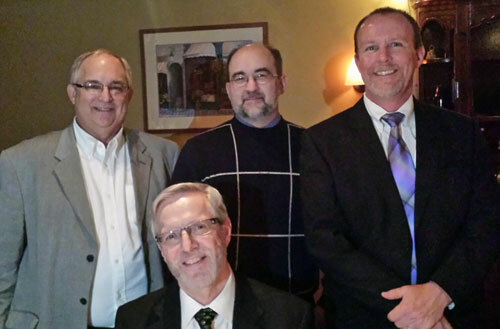 Dave Desjardins, Doug Hohman, Chris Lockett and Ken Rahman become Associates. Andy Juette named an Associate. Larry Juette acted on the cornerstone evolutionary principle when he stepped aside from his leadership and ownership roles. His continued active involvement in the firm is greatly appreciated. Steve Morris begins serving as President of JDRM Engineering. Jeff Stringham named Senior Partner. Roger DeBelly and Steve Wheeler become Associates. Alison Staudinger named an Associate. Dave Desjardins, Ken Rahman and Roger DeBelly become Partners. Bob Kalb became the second person to transition from his ownership role in the firm and he remains an active, valued employee of JDRM Engineering. JDRM Engineering was saddened by the untimely loss of our partner Ken Rahman. Alison Staudinger and Doug Hohman accepted ownership roles and became Partners. Steve Wheeler was named Department Manager to lead the Technology Group. New associates were named: Chad Greiner, Andrew Mickens and Mike Thompson. At the close of 2014, founding partner Dan Rosenberger retired per the evolutionary process. He is the first of the partners to pass on his ownership role and retire at the same time. Dave Desjardins and Roger DeBelly named Senior Partners. 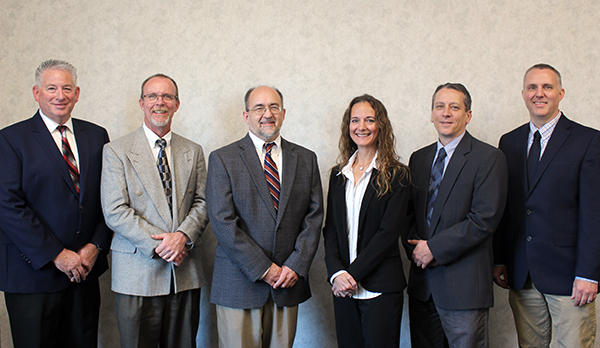 Three new Associates named: Tom Rawlings, RCDD, ESS, Matt Steffin and Matt Rasey, P.E. Arthur D. Myerholtz, P.E., stepped aside from his Partner role following our evolutionary leadership process. Art remains extremely involved in our work and we appreciate his expertise and ongoing mentorship. Andrew T. Juette, E.I., LEED AP and Steven C. Wheeler, RCDD become Partners in JDRM Engineering. Robert D. Nicholson, NFPA, CESCP named Associate. Click here for an overview of the JDRM Engineering Management Team and their related responsibilities. Our evolution will continue as we serve your mechanical, electrical and technology consulting engineering needs.